Have you ever seen a ten foot car on a twenty foot boat? I have and I put it there. But it wasn’t my fault. Honest! It was a hot summer weekend in Toronto. I was alone on our sailboat, working on an art history lecture. S-S had lent our van to a relative to take a trip to Kingston. In exchange he let us use his car. Well, more of a crapbox than a car. It was a small, rusty, orange Nissan. More rust than orange. To get some prep time alone I drove it to our club, ABYC in Toronto, and parked it on the far side of the parking lot away from all the real cars. Far, far away. I had been working on the boat for some hours when the hot still air suddenly became a howling gale, a hot dry, dusty, city-smelly gale. Then just as suddenly it stopped. I continued working on my lecture when I heard a commotion on the dock. It became so loud I had to go and check. Although the picture here is not the incident it shows perfectly the situation. 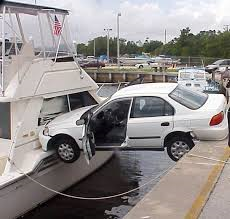 Well, that rusty crapbox, had decided that when that gale blew across its rear that it would shift out of park, into neutral, and merrily coast the whole length of the parking lot, across a lawn, down an incline and park itself onto the bow of a friend’s boat. The two were intimately bobbing up and down in the waves, firmly fixed together, forever, it seemed, in some surf and turf conjugal rite. Eventually I had to rent a crane to undo the perverted car-boat embrace. Final results: friend not happy (big understatement! ); me making the photo headline in the next club newsletter; insurance company person giggling to herself as I explained what happened; S-S calmly stating that I should have parked the crapbox a little bit more to the right so it would have missed the boat entirely and dived straight into the water for an easier insurance claim. Life is so simple when she explains it to me. Sometimes life hits you like a slap in the head. For some reason I started thinking about sailing. Long winters can do that. 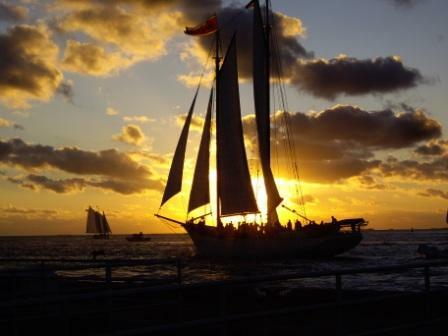 “Ready to come about,” “Helms a lee,” jibs, jennys, luff and all that nautical fluff sailed through my mind. Then the profound thought of the day hit me. It’s that time of the year, boat winterizing. Not only does the house need winter preparations but so does the boat. 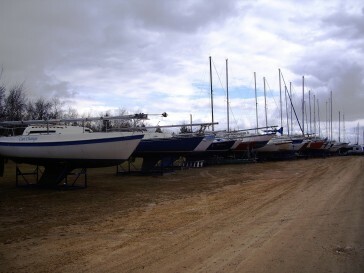 Yes, we have a 30 foot sailboat, a Grampian 30. 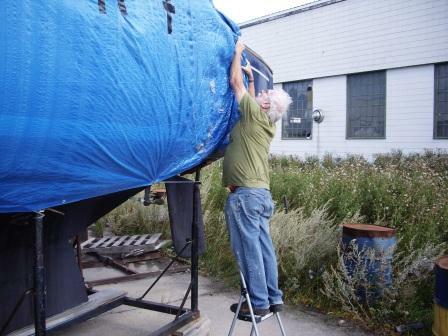 Today my friend, Mr. Bill, and I were fixing the tarp to cover the boat while it sits outside for the winter. Protecting it from rain and snow is not the ultimate purpose; rather, it’s protecting it from the freeze-thaw cycle of late winter and spring. Nonetheless, it’s an annual chore since I can’t afford a nice, warm, dry space inside the storage hangars. Mr Bill and I seemed to have picked the windiest day of the year to handle the tarps. At times I thought Mr. Bill was going to go para-sailing to the other side of the lake as the tarp billowed like a parachute, trying to lift him off the ground. We thought we would be in the quiet lee of the storage hangars but nature had other plans: gusts right down between the hangars like a wind tunnel. Talk about an exercise in frustration! After watching Mr Bill levitate, he was not chanting mantras at the the time, and feeling myself get almost blown of the top of the boat after being wrapped and almost strangled by a flapping, twisting, beating tarp, we decided to call it a day. The picture of me taping the tarp shows me at my intellectual and physical peak of the day, safely at an almost ground level. My hair, what there is of it, is merely blowing in the gale even though it looks as though I have just french-kissed an electrical outlet. But this is a no-nonsense blog sight that does not hide from showing harsh reality, at least today. What the boating brochures and ads show is the glamour and romance of life and play on the water, with distant shores, palm trees, and laughing crew and guests. Hah! The reality is engines that conk out at inconvenient times (usually when you have a harbour full of an audience, witnesses, or whatever); heads (toilets for the uninitiated) that love to plug up and not flush without blanketing the harbour in a bouquet of methane; scatalogically-challenged seagulls and pelicans; and the joy of the annual launch and haul-out saga, relishing the sight of your mother-ship dangling twenty feet in the air on the end of a thin crane cable; boats do not like to winter in almost two metres of ice for months on end. But here in Gimli the season is so short. Sometimes it feels like it’s as much as two weeks, although I am sure it is longer by a week or two. Even then the wind is a dead calm or a howling gale, invariably dead on the nose. You might ask why do I do it? The answer is because. Why do people race cars, skydive, golf? To me these are all illogical activities but I respect their foolish, nonsensical, pointless choices even if they are incapable of respecting mine. When there is an eventual, windless day the rest of the tarping will be completed, hopefully before the first snow. Last year it happened on October 5th. Brrr! Took a trip into Gimli today. The town has really slowed down since Thanksgiving. With the weather most people have shut up their cottages for the winter. The marina was a ghost of itself yacht-wise. Dean Thorkelson of Lake Agassiz Marine had his crane at the end of the pier hauling out some of the Gimli Yacht Club sailboats. Haulout time is now getting short. Pretty well all of the power boats are out of the main basin. All that’s left are the small fishing boats. They will be out as long as there is water. Come the ice many of them shift will be to ice fishing. 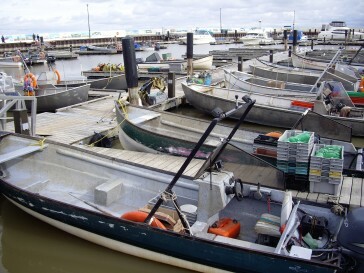 The yacht scene is similar in Silver Harbour, row upon row of boats. I feel sad at such scenes. The boats are out of their element, stranded on the hard. Most will not be in the water until May or June next year. The season is so short. I remember a few years ago taking the ferry from Tswassen to Vancouver Island on New Year’s Day and seeing sailboats cruising in the straits. I thought, “How idyllic.” Back home the ice on the lake was six feet thick. The beach, of course, is deserted. 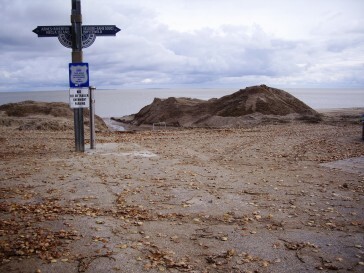 The town has started to prepare for any potential flooding by piling up mounds of sand ready to create berms in the low areas. October and November are the season for major storms. The wind and rain will howl down out of the east and north-east often for days at a time. 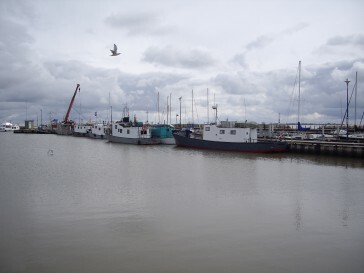 Lake water will pile up in the south basin. Shoreline erosion will be possible for many. Fortunately our house has a natural, elevated shoreline. Still it has to be watched. Then the freeze-up will happen. It will be cold but more still and peaceful. More on that another time. Of course, one of the benefits of the slowdown is that finding a parking spot is much easier. Another is that walking on the sidewalk is easier too. Some of the stores are changing from their summer hours. Not too many are shutting down though. I must admit that I miss some of the hustle and bustle of the summer. Old habits?